Puglia, a neighbor of Calabria, still remains somewhat undiscovered, but its beauty, scenery, cuisine and history begs to be explored. Located in the heel of our boot-shaped country, I have a feeling this region will soon become the next Tuscany. 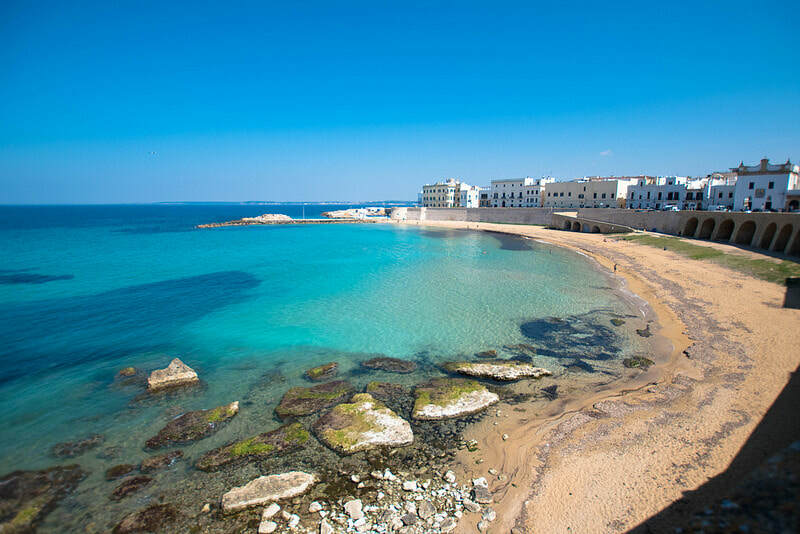 Located in the southern portion of the region, this is one of Puglia’s largest and most important cities. Lecce is very walkable and has a beautiful historic center, which is ideal because if it’s one thing Lecce is known for, its Baroque architecture. The outside beauty of the buildings can be seen all throughout the city and it’s typical for them to be decorated with angels, cherubs and gargoyles. Known as the “Florence of the South,” Lecce is growing in visitors, particularly from the UK as it’s an easy flight yet still manages to remain relatively unknown and unspoiled. You would be hard pressed in finding a local speaking English or a menu aimed at tourists while visiting Lecce. 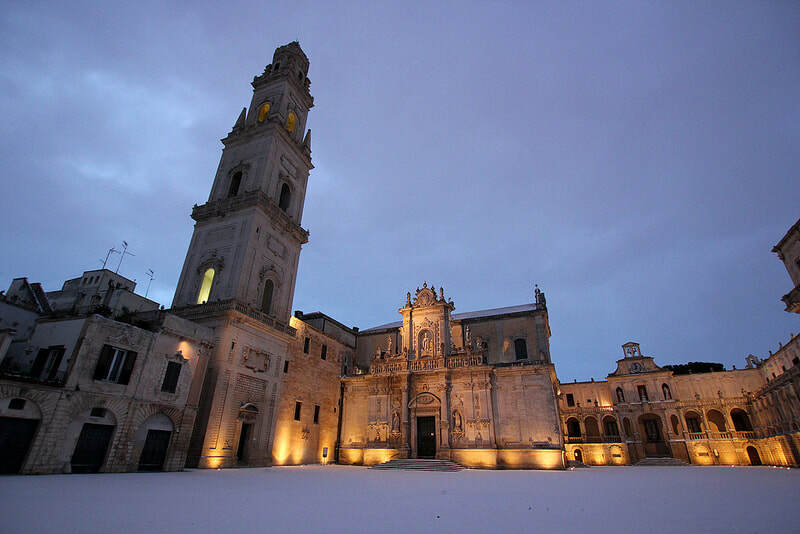 It would also be hard, if not impossible, to take a walk in Lecce and not find a church as there are 22 of them. Be sure to visit the Piazza Duomo where you will find the most ornately decorated Baroque buildings. Be sure your camera is charged! Located on the west coast on the Ionian Sea, the fishing village of Gallipoli means “beautiful city” and it certainly lives up to its name. Divided into two sections, the old and the new, a bridge brings them together, giving you a sense of where the village has been and where its going. Fish is king in Gallipoli, so chances are, you will find it on any menu in any restaurant while visiting here. Always order what the locals order and you can’t go wrong. It’s no surprise that beach going is one of Gallipoli’s favorite pastimes, where the water is clear and the sand fine. While you are likely to find a few tourist shops here and there, this is one place where the authenticity is truly felt. Located a bit further north than Lecce, Alberobello is becoming a must-see town for anyone visiting Southern Italy. 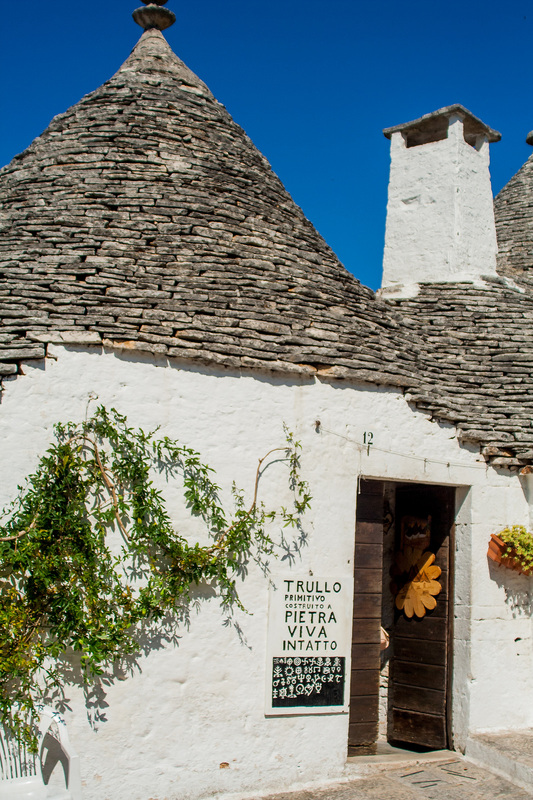 While the small town is adapting to the new influx of visitors, what is attracting these travelers are the trulli themselves. Small, conical-shaped, and built with local limestone, the small, casual homes are different enough that they draw in a crowd. 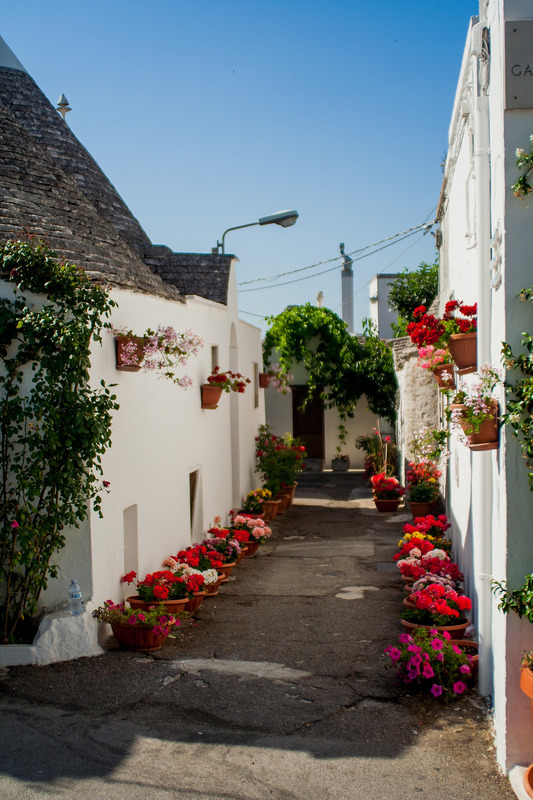 While there are other “regular” houses in Alberobello, many are made of the same thick stone walls and painted white. You will now find numerous tourist shops along the main road, Rioni Monti, in which you can buy anything under the sun shaped in a cone! Continue reading at The Lazy Italian. Steeped in history and culture, Ostuni is a city to behold.